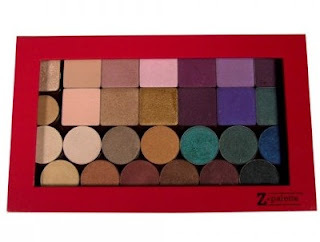 This is the Z Palette best selling palette that will fit all your favorites in one place. 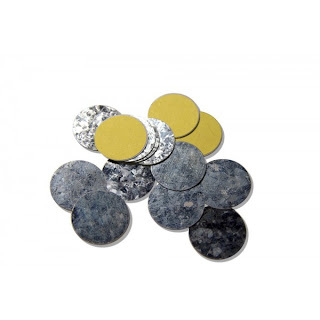 You fit in it from any size of eye shadows, blushes, to concealers, lipsticks, and powders, customize how you want it. Easy for you to display your collection and customize by brand or color. The Z Palette is the only one of its kind that includes both a clear window and an open magnetic base. Replace colors as often as you would like according to your preference. 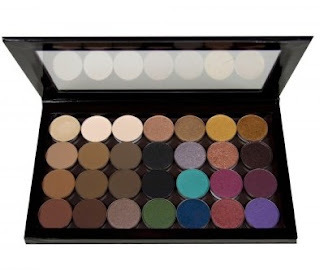 Zpalette the customizable magnetic empty makeup palette is meant to hold all different sized shadows and blushes from all different brands, however, if you like to organize by a specific makeup brand only, the following list may prove to be helpful. This is a list of how many eye shadows of each of the brands can fit into each palette. Please click here to view. Z Palette large ialah palette sesuai digunakan untuk memuatkan warna kegemaran anda dalam satu tempat seperti eyeshadow, concealer, blushers, lipsticks dan sebagainya. Anda boleh lihat contoh gambar seperti dibawah. We are not affiliated with any brands mentioned at Lunavocy.com and we are not their sales representative, an employee or in any way. We just happen to love their products and sharing the good bargains with everyone. All pictures and description are credited to Z Palette official website.